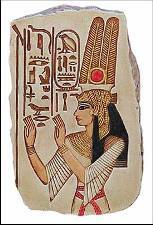 During the nineteenth Dynasty a queen by the name of Nefertari was in power with Ramesses the Great. She was one of many wives, but continued to remain one of his favorites. Her birth parents remain a mystery, but its determined she is of royal heritage. Its however known that she had a brother by the name of Amenmose who was the mayor of Thebes during her rule as queen. She had two sons, Amonhirwonmef, Prehirwonmef and two daughters named Merytamon, and Mertatum. Looking at all the monuments constructed its pretty evident she was of high importance. She mustve played an important role in her time. Most depictions of the queen stand with Ramesses II, which might mean she mightve had a major political influence on Egypt. Ramesses II also dedicated a temple to her called Abu Simbel. This temple is located south of Aswan near the second Cataract of the Nile. This temple was designed with four large statues of Ramesses II with several small figures at his side. 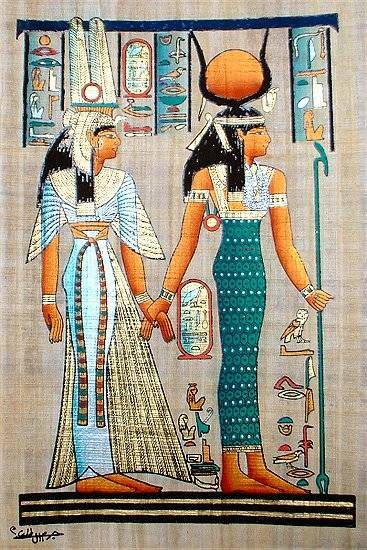 The temple was dedicated to the goddess Hathor and Queen Nefertari. Her disappearance remains a mystery. Experts arent sure if she died, or just remained part of the great harem. Her tomb has been found and it remains a precious treasure to Egypt. Her tomb is said to be one of the more extraordinary tombs found to date. Its located in The Valley of the Queens.